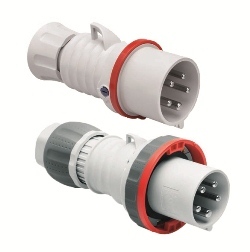 GEWISS series of Plugs and socket-outlets are made according to IEC 309 specification. Made more durable in providing optimum performance for any IT industry. Consisting of 44 codes, the new series of GEWISS IEC 309 caters to a much wider assortments of plugs and mobile/flush -mounting socket-outlets for 16A and 32A currents. Created with IP44 and IP66/IP67 degree of protection to withstand even the most demanding of applications. Utilizing cutting-edge technology in developing these series, it is proven to give high performance range anytime, anywhere. A comprehensive manual for installation and operation is included in each package of IEC 309.